Have your photo album pages been blank since you started taking digital pictures? It’s high time to change that. A printed picture is not only better than a thousand words, it’s also better than ten thousand intangible files of ones and zeroes. An overview of 70 digilabs that prepare photographs from data. Most have quality ratings, prices for pictures of various sizes, collection sites, and information as to whether pictures can be sent over the internet. You soon learn four things: that generally it doesn’t pay to choose a cheap lab that is on the other side of the republic, because you wind up paying unnecessary postage; that 10×15 cm pictures are of similar quality whether they cost CZK 2.90 or CZK 10, due to identical technologies used; that the labs offer ongoing, interesting discounts; and that it’s much faster to burn your files onto a CD and take it to a collection point, because it takes forever to transmit files. 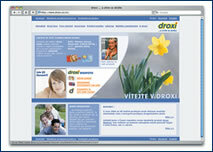 The site offers the cheapest way to produce photos from digital files. 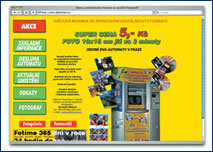 Although FotoStar is in Teplice, the company has outlets throughout the country, so you can avoid paying COD. They charge CZK 2.90 for a 10×15 cm photo plus – for up to 50 photos – CZK 39 for handling. FotoStar commonly processes digital photos up to 30×45 cm format within three days, issues various discount cards, and offers a more specialized guide through the modern world of digital photography on its excellent website. After rather slowly loading data into the digital collection point, you even get a view of all your photos. This lab is mainly used by Prague residents, because it has only two collection points. But for CZK 5 plus a one-time charge of CZK 25 they will prepare high-quality 10×15 cm pictures while you wait. Additionally, the firm has placed two Opera digital machines in internet cafés in Hostivař and the Černý Most entertainment center on which you can make cuttings from photos if need be. They also accept most memory media and can burn photos onto CD-Rs. This Ostrava firm has over 160 outlets. Besides photos in JPG and BMP, uncompressed TIFF is also accepted. Photos can be delivered on media or e-mailed. More voluminous data can be downloaded from a private or company FTP server, or they’ll give you an access name and password so you can upload your photos onto their server. You can follow the processing of your order on-line under the administration of your account, or they will send you an SMS message to tell you that your order is ready. And until the end of June, you get a free photo index of ordered and processed photos. As early as the introductory page, you get the impression that you’re dealing with a large company. Before you can log onto the online collection point you must agree with a twelve-page (!) form summarizing the business conditions, where it states that only JPG files are processed and they must be maximally compressed into ZIP files. Upload speeds logically depend on connection speeds, but it generally takes a long time, similar to FotoStar. At the end of the process a form appears that summarizes the order, including the price and the address where you can choose to pick it up within three days. This site helps you familiarize yourself with the jungle of 25 supernational legislative orders of the nations of the EU. You can learn where and how to register a company in Germany, or find out how taxes are withheld in Slovakia. There is also information on taking over a company and bidding in a public tender in another country, on employment laws, and social security in other markets. A clever aid for the modern world of ever-developing technology – a helpful internet dictionary. While it cannot cover all the terms, it still manages to explain the basic concepts you need for becoming an informed traveler on the internet highway. The New York Times has always been a symbol of high journalistic standards, and the paper’s online version is no exception. While political and economic reporting is almost the same all over the world today, the technology pages of this daily will convince you that the US leads in some areas of development. Access for online users is free! – Compensating memory. In relation to an internet browser, this is a space that is most often on the computer’s hard drive where just-viewed pages and their elements are stored. Upon returning to a previously imaged page, the search engine can quickly pull up the relevant data from this storage. However, you get the page from the cache memory, which may no longer be up to date if a new version of it has been created on the server in the meantime. In each browser you can set how long a page is stored and whether the pages should always be read from the server regardless of the memory’s contents.